A handsome cowboy slouches in the saddle. He squints into the desert sun. A door creaks against the wind. He pushes his hat up, then speaks as he draws finger guns. “Tag me. I’m on Facebook,” he says, in a thick Spanish accent. 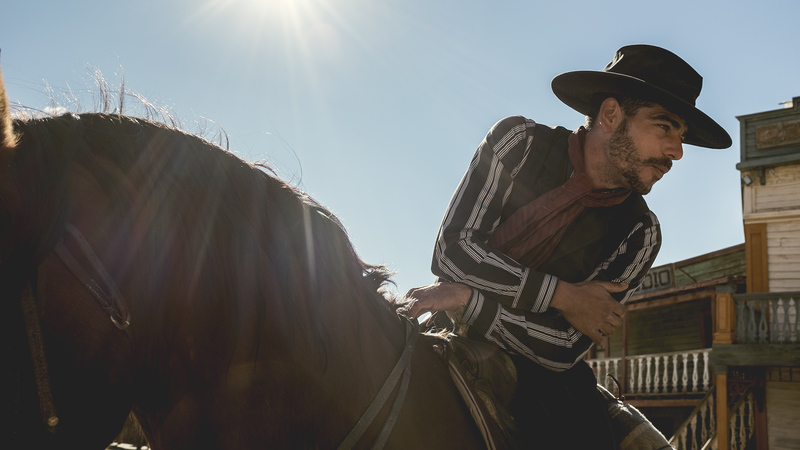 Then he spurs the horse into the dust. 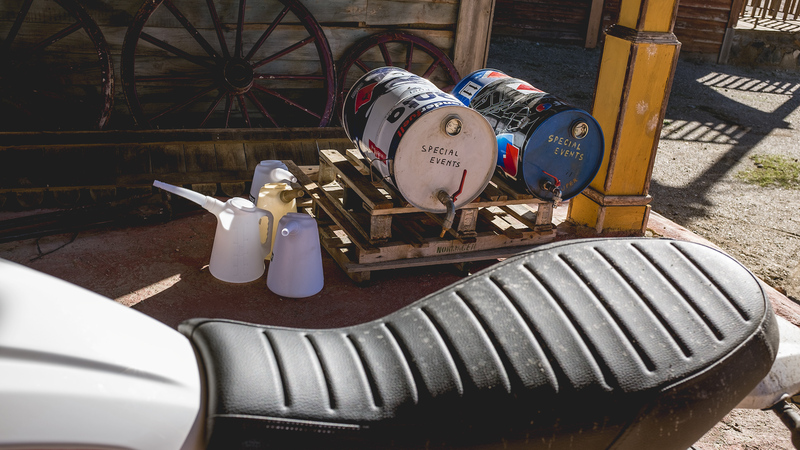 That same Spanish sun beats down on long rows of fuel tanks, and sparkles off the glass of headlamps. 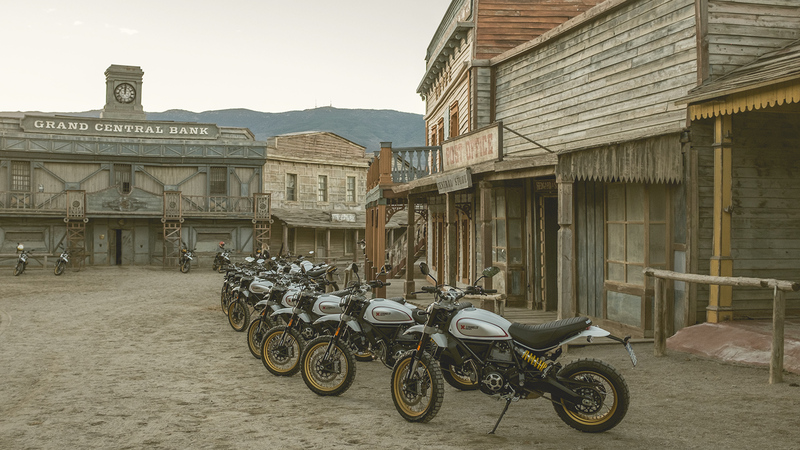 Two long rows of eerily identical brand-new Ducati Scrambler Desert Sleds line main street and glitter under the hard-used facades of a town that never was. 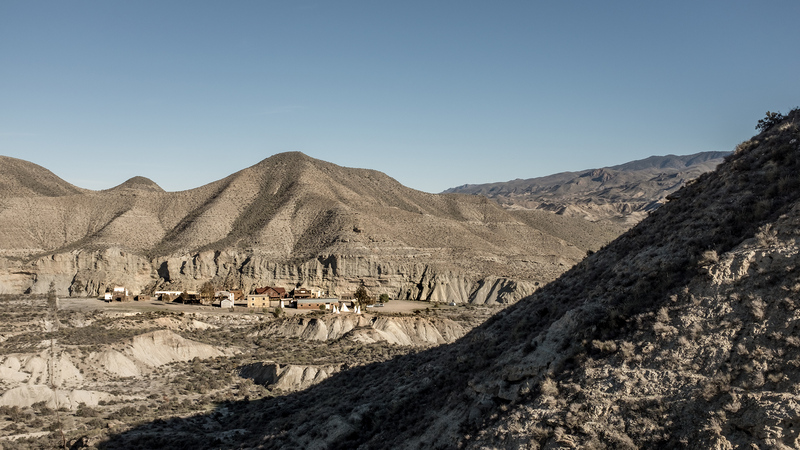 This is the Tabernas Desert, just outside Almeria. 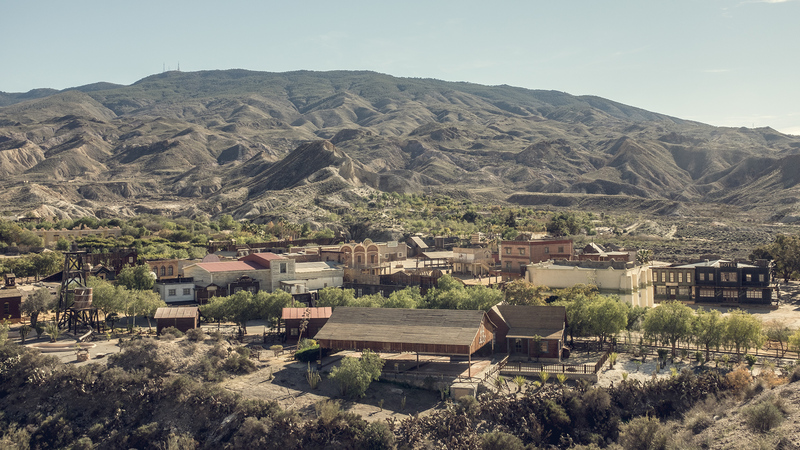 Spaghetti Western country. 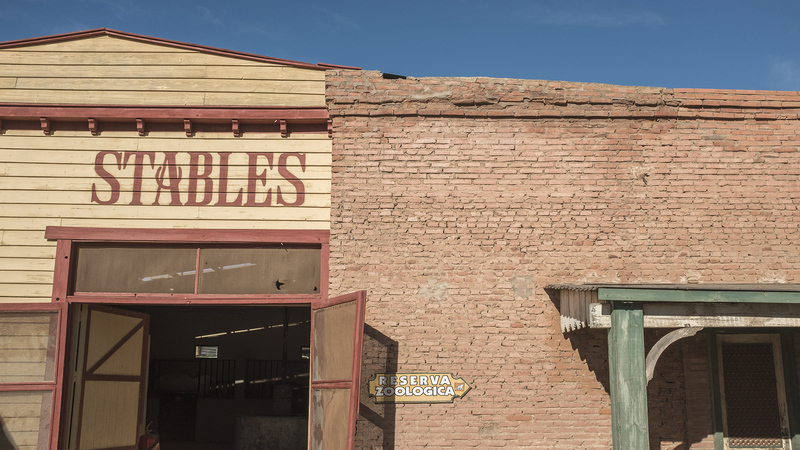 The Tabernas is good riding; as good as California deserts, as good as Baja. They're strikingly similar. The same muted colors and hardscrabble shrubs. You can see how Cabrillo and Cortes and Portola might have stabbed their flags deep in the hot, hard soil of the new world. It would have looked just like home. 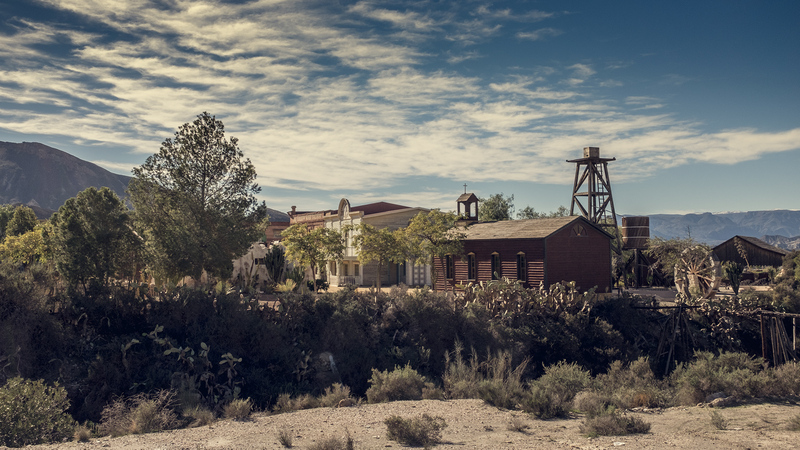 Hundreds of years later Spanish stuntmen, unwilling to give up the good life of riding all day and leaning into a saloon at night, bought the little western villages for themselves and turned them into amusement parks. 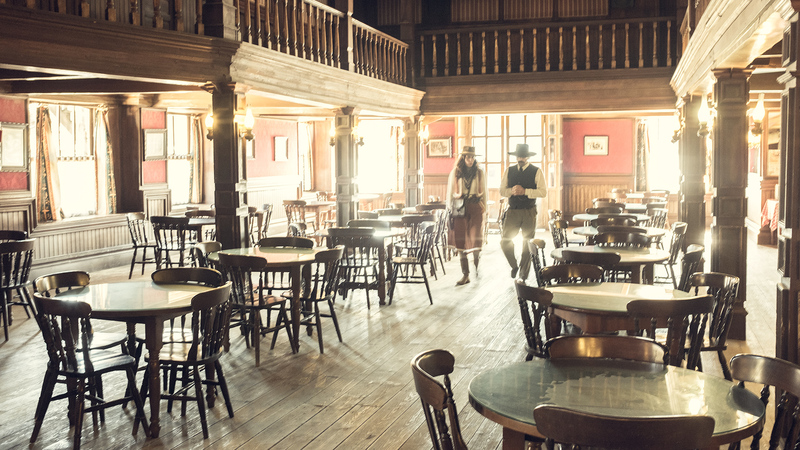 The two-dimensional towns don't end suddenly after a grocer, and a bank and a saloon. 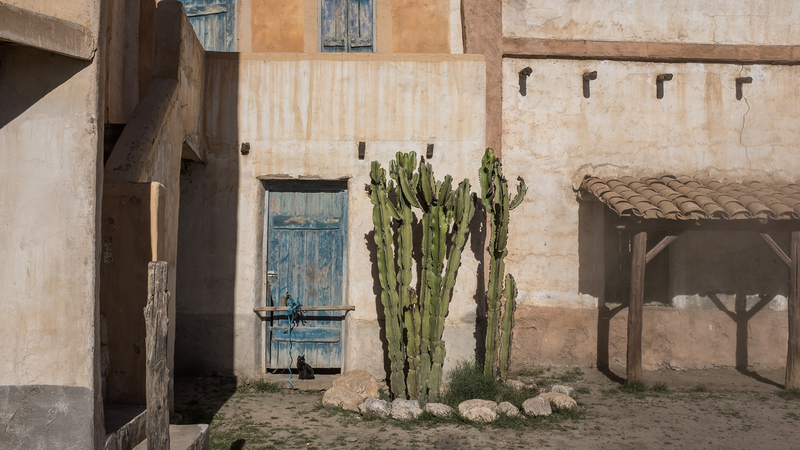 When Sergio Leone pulled up stakes he left whole villages behind, blanching in Europe’s only desert. 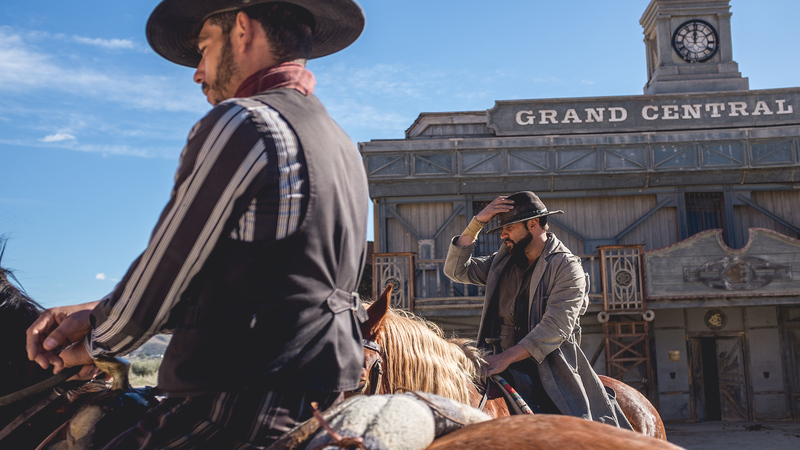 At Fort Bravo there are gunfights and a pool. 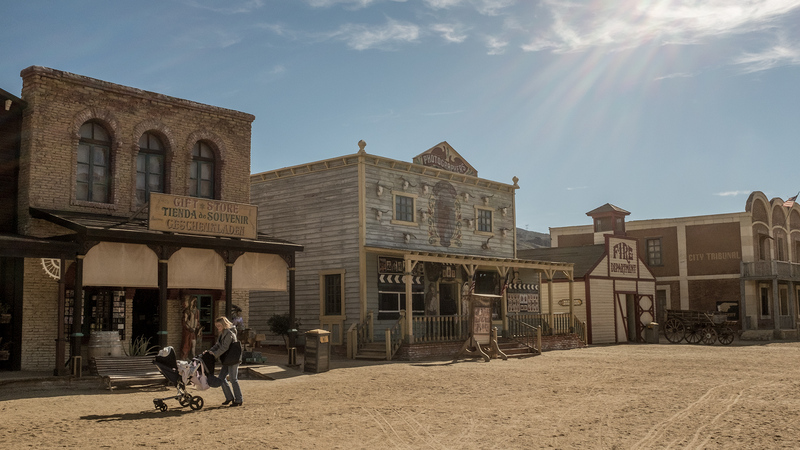 At Mini Hollywood there’s a zoo with lions and tigers and a parrot show. Instead of using flags to make our mark we dig tire-sized trenches through silty river bottoms, and carve lines up mountain roads. 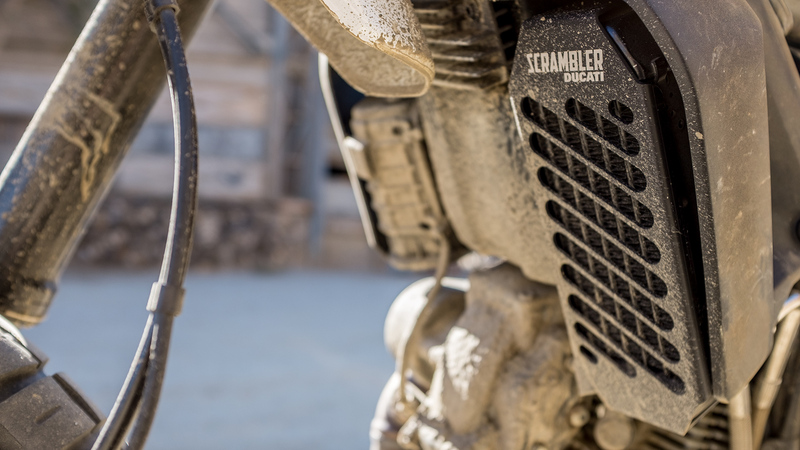 Our mount, the 2017 Desert Sled is made for this. 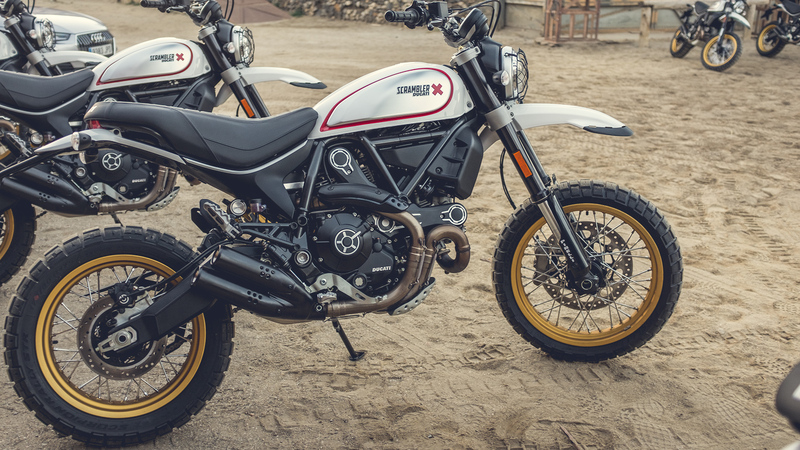 Built on the back of Ducati’s Scrambler, the Desert Sled adds steely off-road credentials to a sub-brand that’s already a runaway success. It’s a thorough overhaul. 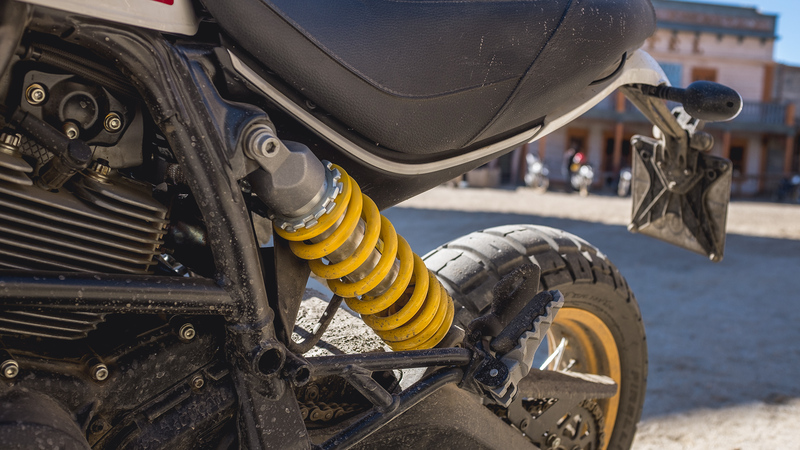 The suspension gets a complete re-work—an adjustable KYB setup with 7.8-inches of travel front and rear—to better handle the indignities and pounding of desert thrashing. 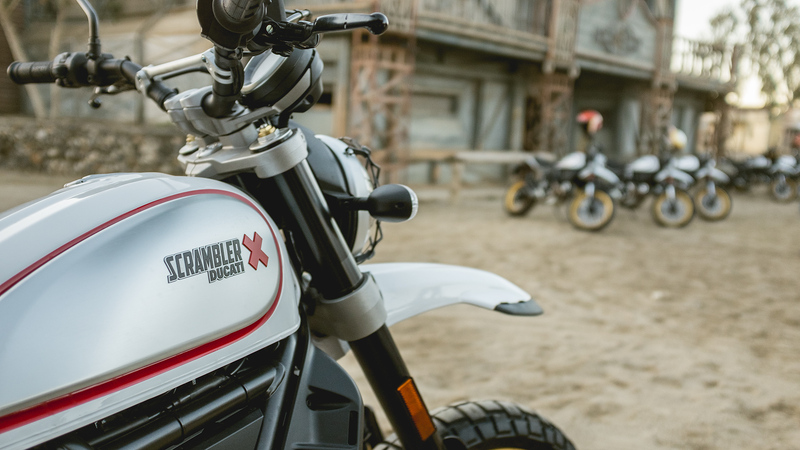 A rethinking of the frame connects the steel trellis through to the new, longer aluminum swingarm, and makes the Scrambler’s increasingly iconic 75-horsepower 803cc air-cooled L-Twin less of a stressed member. 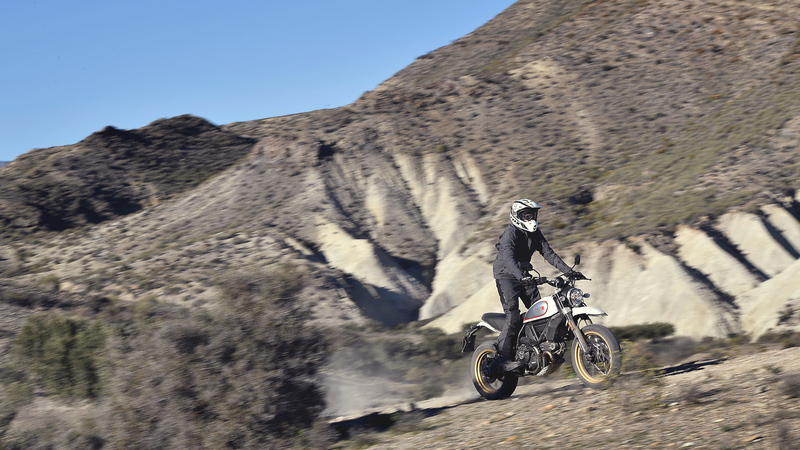 Which makes it tougher, and better able to handle jumps and wildness in the wilderness. Proper spoked wheels with gold rims, 19” in the front and 17” in the rear, serve as a palate to a thick coating of blocky-treaded Pirelli’s. 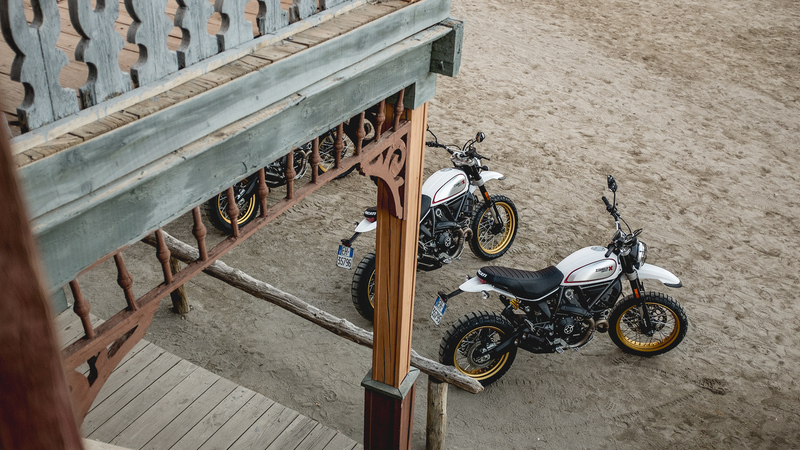 You’d look at the Desert Sled and see a Scrambler, sure, but the re-engineering is so complete that there’s no amount of aftermarket parts that could make a Desert Sled out of any of the other existing Scrambler family. You just can’t get there from here. 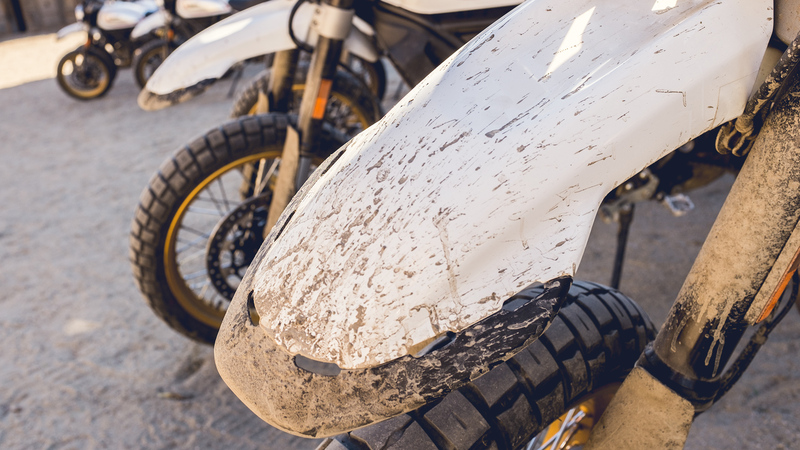 It’s a good thing the Desert Sled is tough. The washes of the Tabernas Desert are thick with silt and stones. Recent torrential rains brought flash floods. More capable dirt riders make quick work of the stuff. 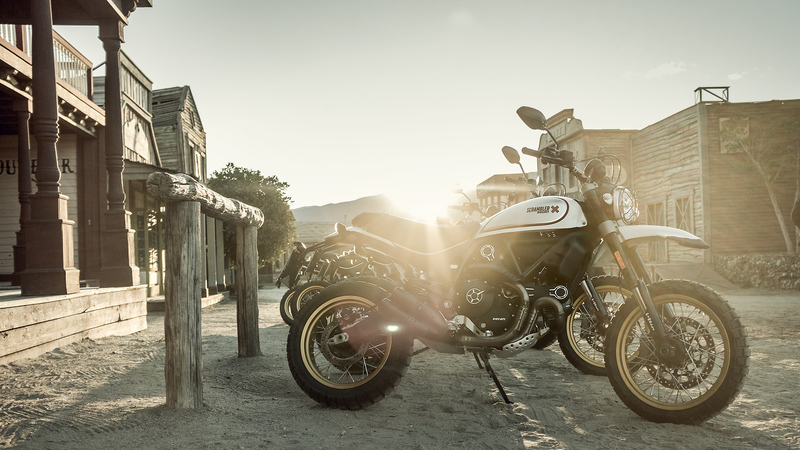 For the confident, the rewards are great, the bike handles like a smaller, livelier thing. For me? The reward is exercise. Digging the front end into sand and riding with a lame wrist, it’s not long before I cartwheel over the bars and into the floury river bottom. Nothing weighing 450-something pounds lifts easily. 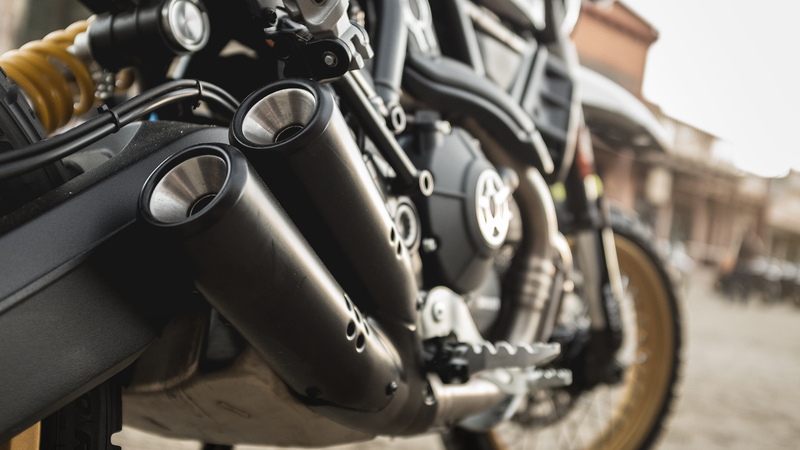 It’s the only time almost fifty pounds of mass added over the Scrambler Icon rears its head. The bike and I find a rhythm on blacktop. Pick a road that leads into the mountains here, any road, and it’ll get twisted and cobby and grand. It’ll drunkenly ascend more sheer a mountainside than sensible, then narrow quickly where it’s blind, or spill gravel down apexes, or dot massive concrete blocks along its edges to keep motorists from plunging over the side and make sure motorcyclists are good and seived to pieces before they do. 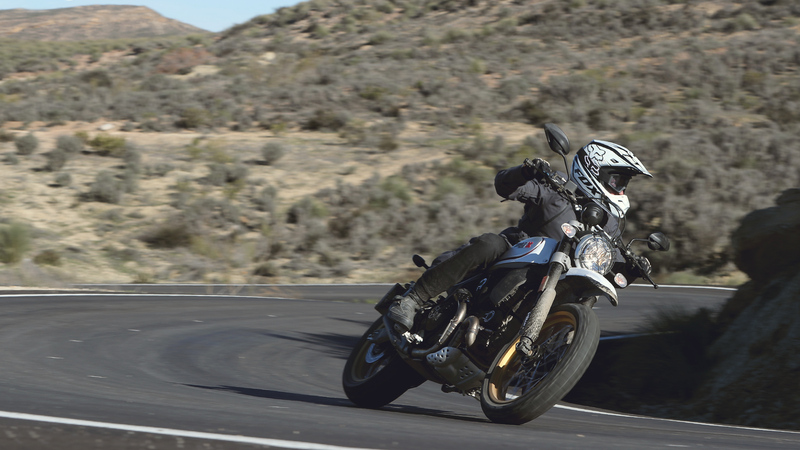 Spanish roads are very, very entertaining company. 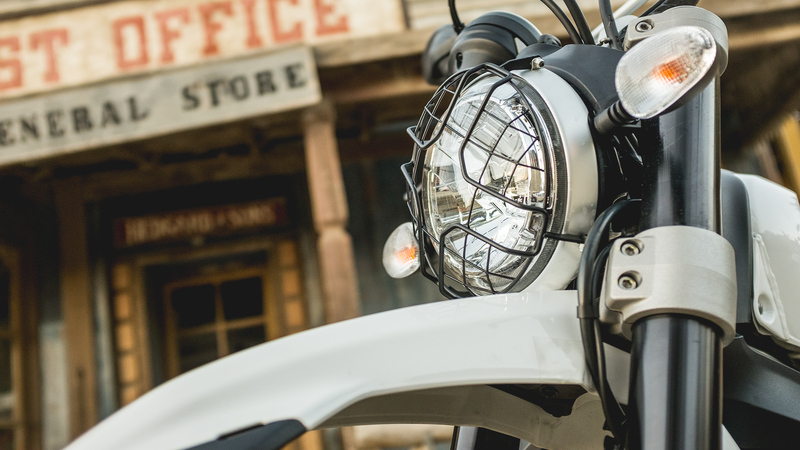 For all the added capability off-road the Desert Sled makes no sacrifices when it comes to the street. Those Pirelli’s grip well enough to dance a peg across the tarmac. The upgraded suspension is unflappable. 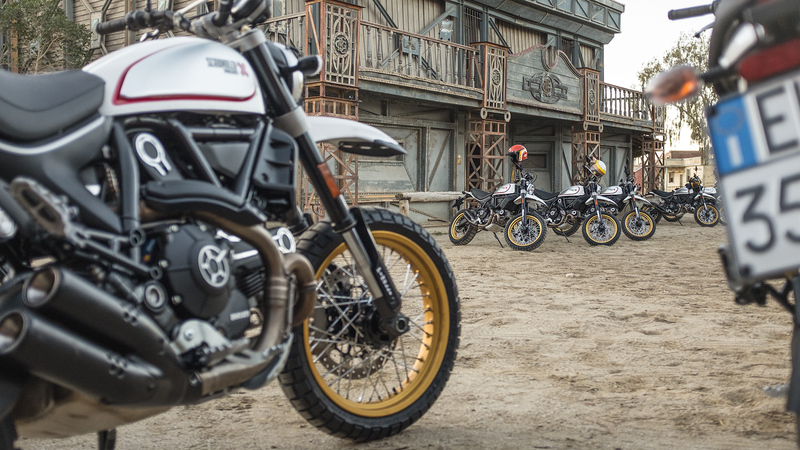 The taller bars of the Desert Sled make for mighty levers. 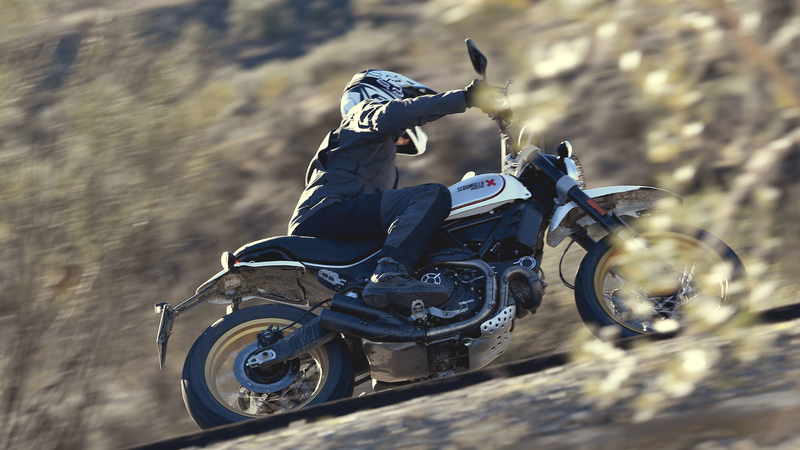 The civilized grunt of 75-horsepower is always just where you want it. 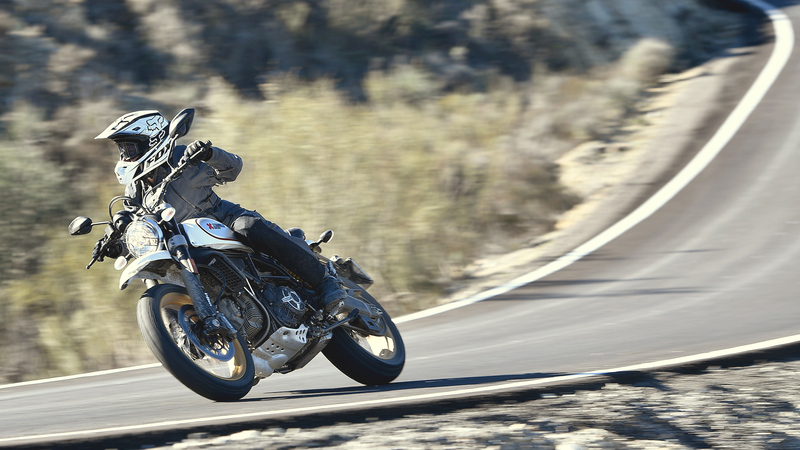 On a twisty back road, the Desert Sled is a damned delight. 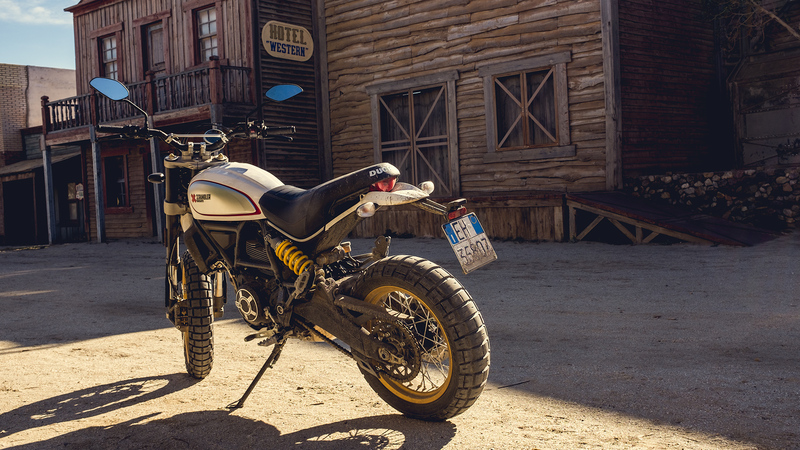 It’s an old name, Desert Sled. 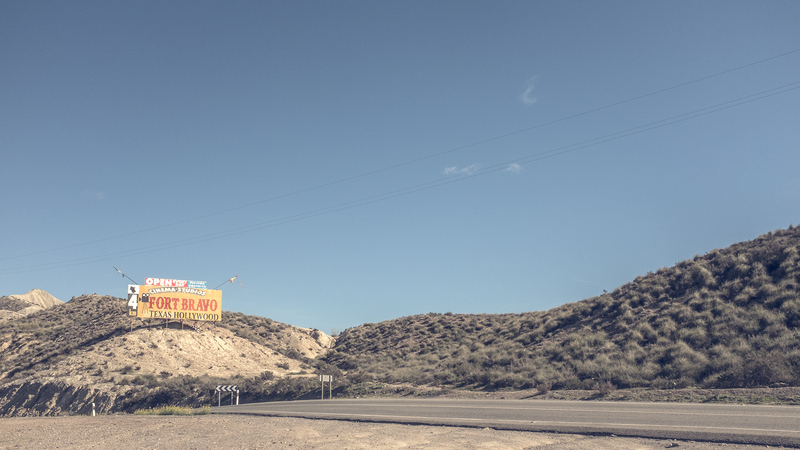 An homage to big bruisers that high-tailed across the American West in the daring days of the 1950s and 60s. Barstow and Baker and Vegas and The Mint. 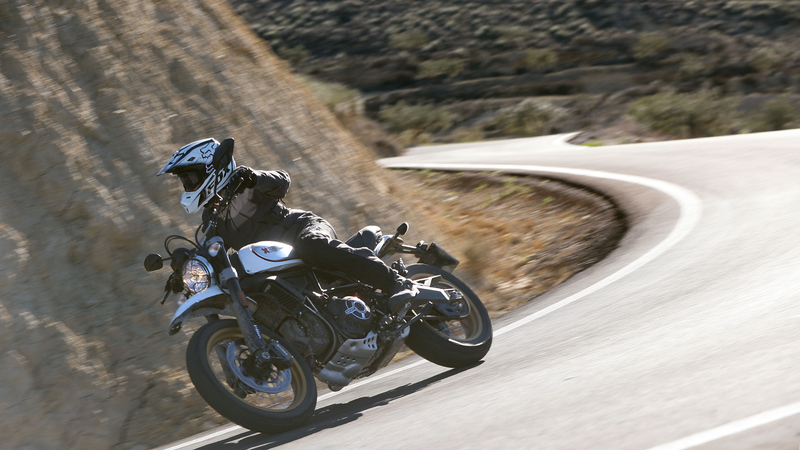 The name might call to mind old BSA singles and Triumph twins, but Ducati was out there too. 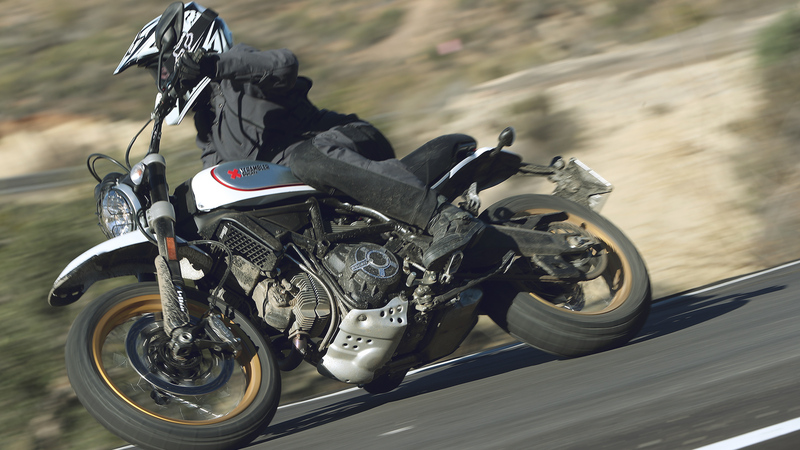 A plucky rascal of a Ducati 450 took the first checkered flag of the Baja 500. 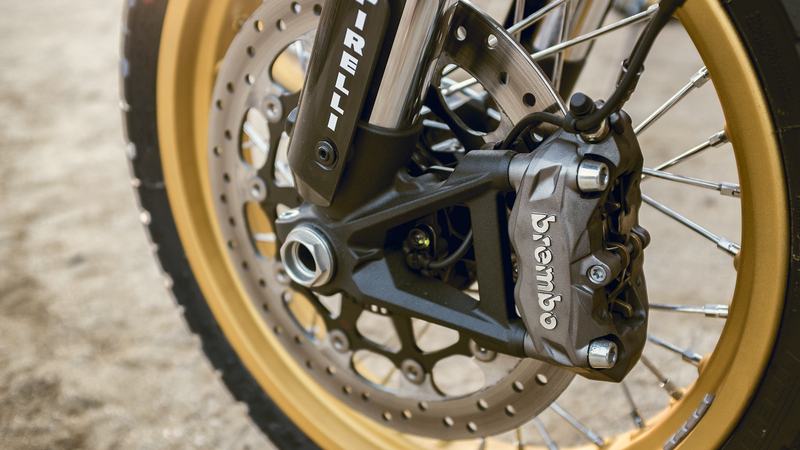 Ducati’s claim on it isn’t trivial. There’s cold water waiting back at Fort Bravo. And beer, the oasis-like specter of which speeds any aches through the same deep silt. 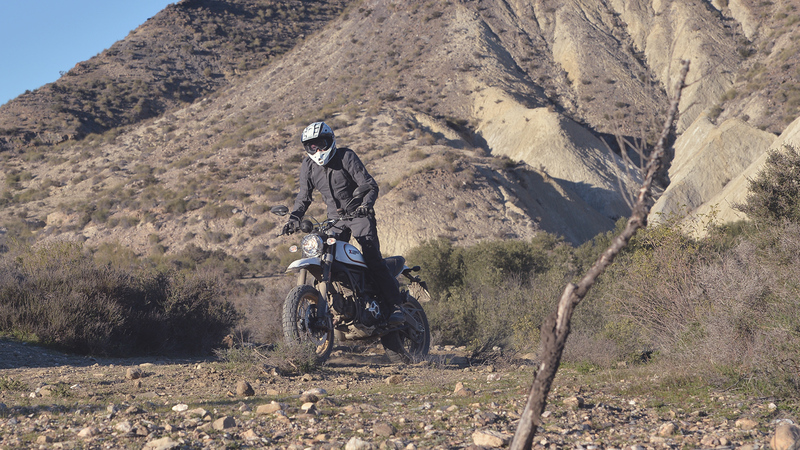 Adventure in mind, we don’t take the easy way home, opting to spend the last half the ride in the dirt, retracing steps. I spend half of that kicking and cursing and picking myself up out of the dust. It’s the cowboy way. As always, you'll pay a premium for added ability. 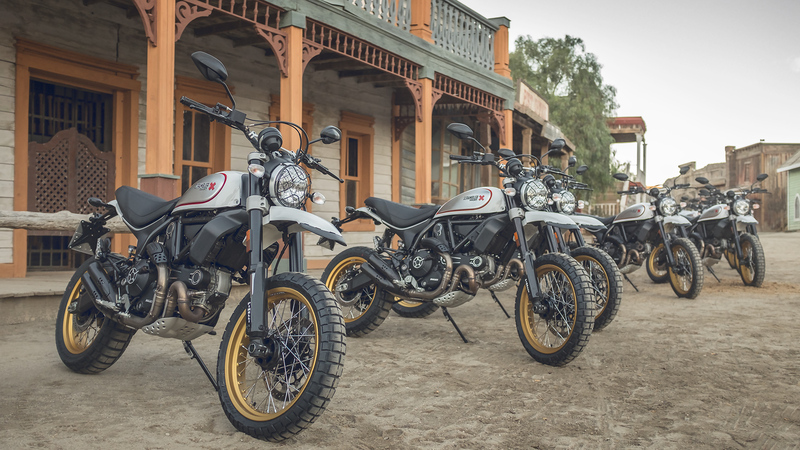 At $11,395, the Desert Sled costs exactly one cheap dirt bike more than the $8,995 Scrambler Icon it’ll sit alongside in dealers. That $2,400 would be a tough pill to swallow if you’re buying on good looks and swagger alone. And for capability? 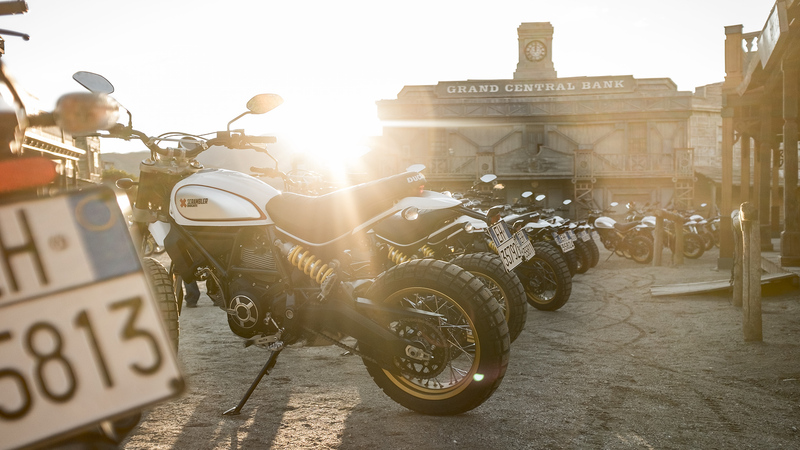 Well, a cheap dirt bike and a Scrambler Icon both make a good case for themselves. 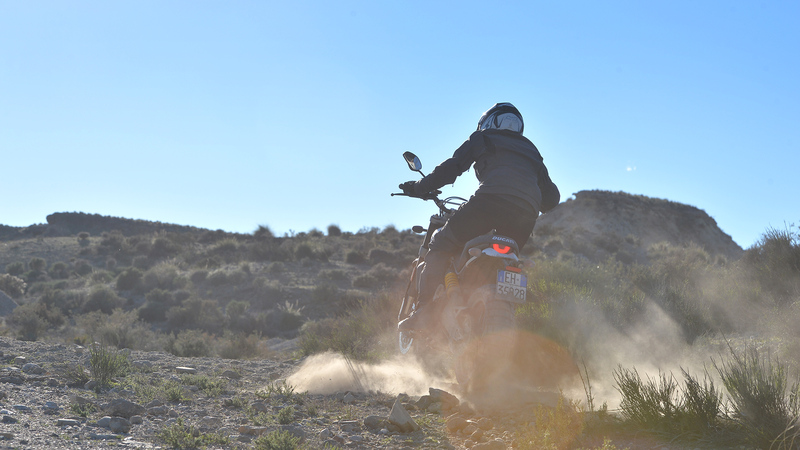 But the Desert Sled is a deceptively utilitarian machine. Fine, off-road. Far better than fine, on. The value is in the versatility. 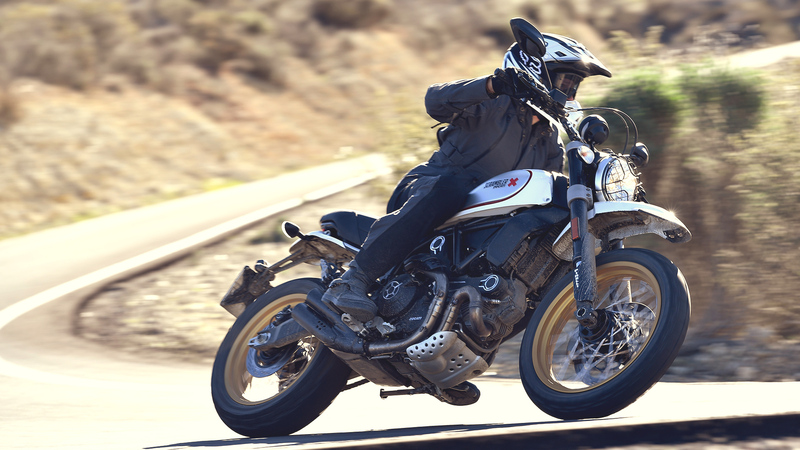 It’s not just taming the weird and beautiful wide-open of Spain that’s appealing from the saddle of this Scrambler. You get to thinking about the back alleys you could take to the market. The curb-hopping on the way to coffee. Little adventures are never quite off your mind. Beefy suspension is like a set of keys to trouble. 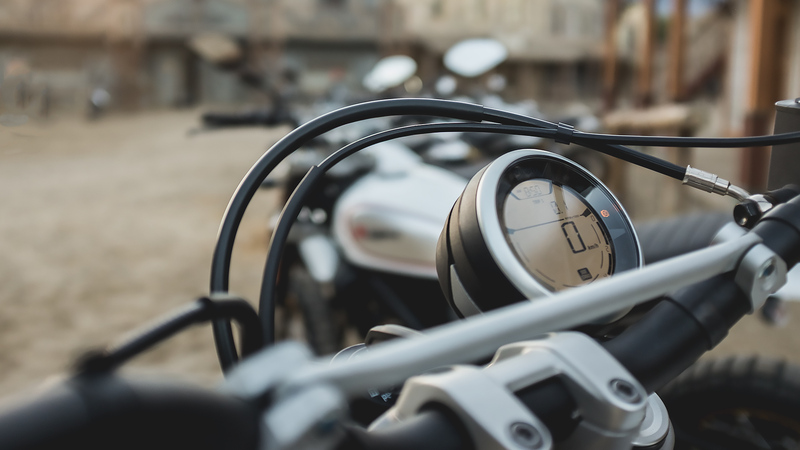 When you’ve seen the light, when you know you can have it both ways and enjoy riding on the street as well as down endless gravel roads, anything else seems just a little too easy.